On March 20th, it’s the Spring Equinox and a full Super Moon. Perfect timing to do some spring cleaning of your energy field and that of your home. It takes about 21 days to create a new habit - give or take. I'm currently developing a 21-day, online course that will help you learn how to take better care of your energy field... Each lesson will take about 15 minutes and can be done at your own time and pace. That's an easy bite to swallow. Would you like to connect with your inner wisdom and spirit self to heal an old wound or trauma? Come journey with us! Transported by the driving beat of the drum, enhanced with Reiki, anyone can journey to the inner planes of consciousness where deep transformation takes place. This Reiki 1 class is tailored for mental health professionals. Learn how to take care of yourself as you help others heal and transform. Celebrate the winter solstice and new moon with meditation focused on healing ourselves and the earth. The gathering will include the healing sounds of the gong and reiki drumming. Learn to practice Reiki healing on yourself. This class is open to anyone, and no experience is required. 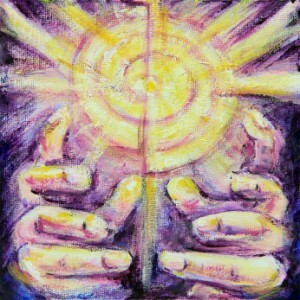 Reiki is easy to learn. Practiced regularly on yourself, reiki is a meditative practice that calms the mind and connects us to our inner being. Even if you have tried meditation and given up on it, you can do reiki – on yourself, on your family, or on your dog, cat or horse. Sometimes, a little bit of reiki takes a headache or physical pain away immediately. Other times, the effects are more subtle; you notice that problems don’t loom as large or you simply feel more capable of coping. In this one-day class, you will receive four attunements, learn about the history of reiki, and practice reiki on yourself and others. Cost is $200. Paula keeps her classes small, so please register early. If you don’t see a class scheduled, or if the dates don’t work for you, let Paula know that you are interested and your availability. Take your Reiki practice to the next level by learning how to heal at a distance. This reiki II class is open to anyone who has already taken level I. You will receive two attunements and learn three reiki symbols that boost your power, facilitate mental/emotional healing and enable you to do reiki at a distance. You’ll get the chance to practice remote healing during the class. Paula’s students are always amazed at how easy and powerful it is! This one-day class costs $225. Classes are small so please register early. If you don’t see a class scheduled, or if the dates don’t work for you, let Paula know that you are interested and your availability. This personalized Master/Teacher class is available to those who have taken levels I and II and embraced reiki into their daily life. This training is conducted over multiple sessions. 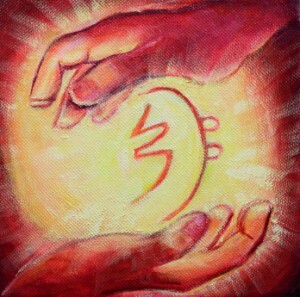 You will receive the master attunement and symbol, and learn how teach others. You will also receive mentoring to help you develop your own mastery of reiki. Please contact Paula if you are interested.